You may have noticed but I kind of like muffins. A lot. I have so many recipes on my website for these versatile little goodies. From savoury to sweet there are muffins for every occasion. Muffins for everyone if you will. 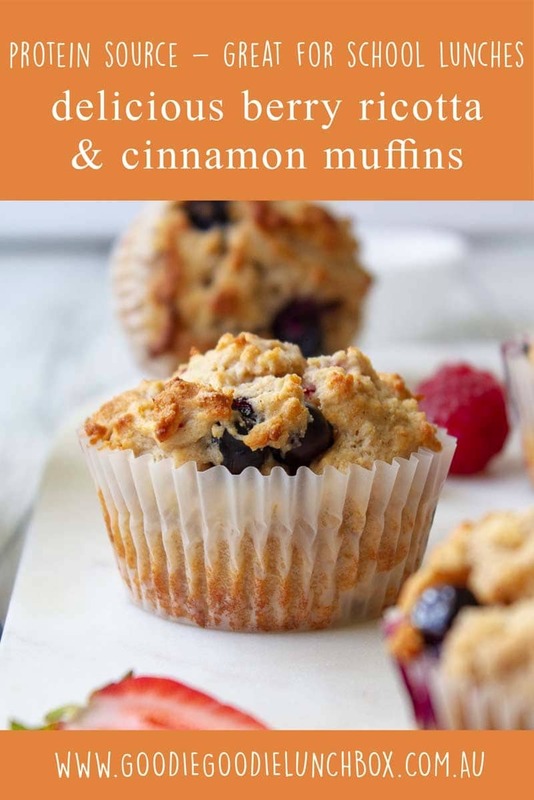 These Berry Ricotta and Cinnamon Muffins are really just an adaption of my Peach Ricotta and Vanilla Bean Muffins. And they are very very tasty. 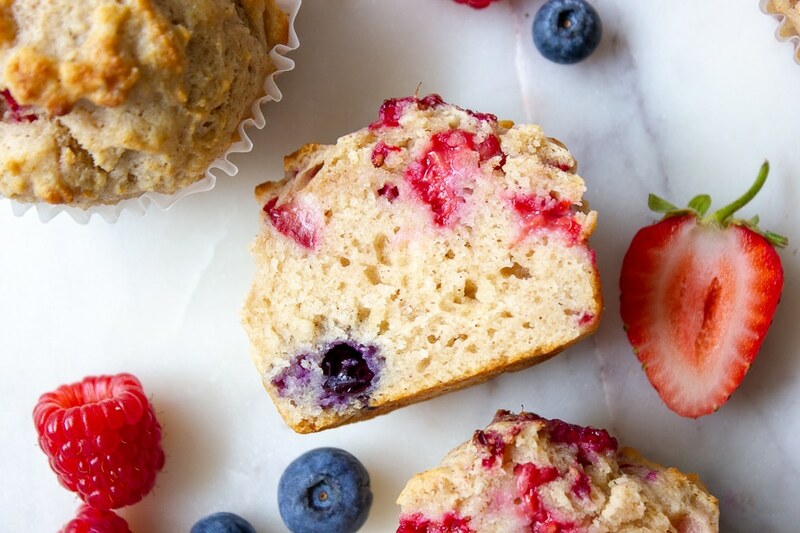 I think the reason I love these Berry Ricotta and Cinnamon Muffins so much is they are super easy to make and they are freezer friendly. Do you freeze your muffins? They last for two-three months and it’s a good way ensure some variety in school lunches as you don’t need to worry about eating a batch all in a couple of days. 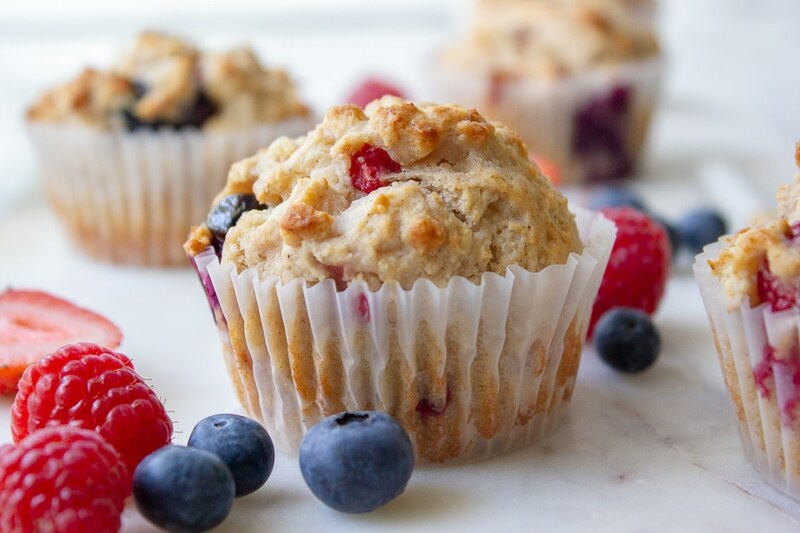 To freeze these Berry Ricotta and Cinnamon Muffins, after baking, cool completely then transfer into a ziplock bag or into a container and freeze free flow (they don’t need to be individually wrapped). You can then take out as you need them. I will defrost overnight in the fridge for school lunches. If you forget to grab them the night before you can defrost in the microwave. While all microwaves are different, I normally cook on high for 20 seconds to defrost. 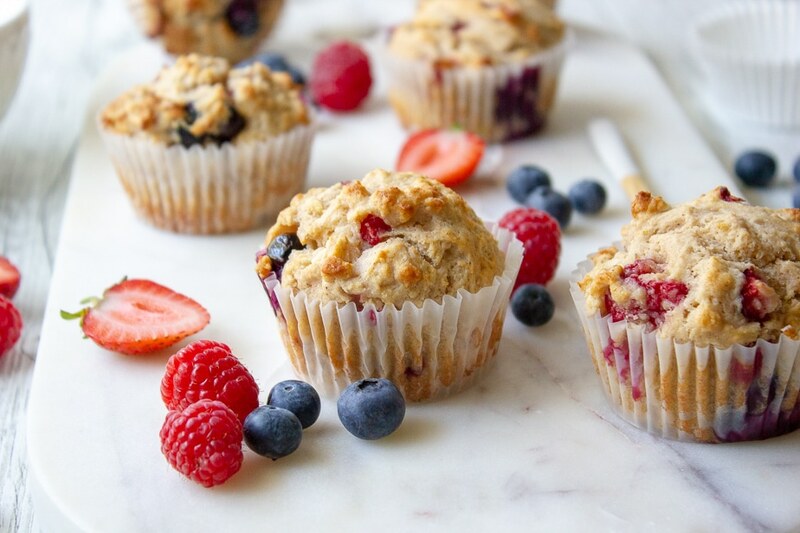 I have made these Berry Ricotta and Cinnamon Muffins with fresh berries. And when I say fresh berries they are generally berries only hours away from needing the bin – waste not want not! But when our summer berries disappear or become far too expensive to buy I will make these with frozen berries. Do you love muffins too? You will adore these Apple and Zucchini Muffins with No Added Sugar or if savoury muffins are more your thing you can’t go past these tasty Roasted Pumpkin and Feta Muffins. 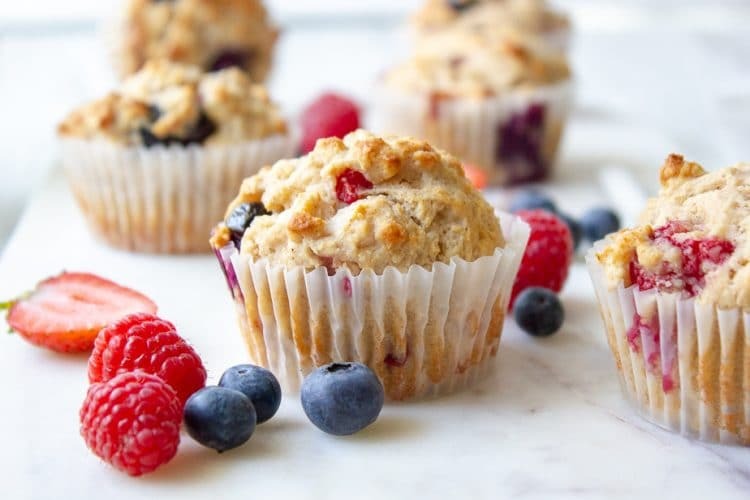 These Delicious Berry Ricotta and Cinnamon Muffins are fantastic for a lunchbox snack or flavour-filled morning tea. Light and nut free these will become a firm favourite in no time. If the mix appears a little dry (some ricotta brands are wetter than others) use around a 1/4 cup of milk to thin the mixture a little. 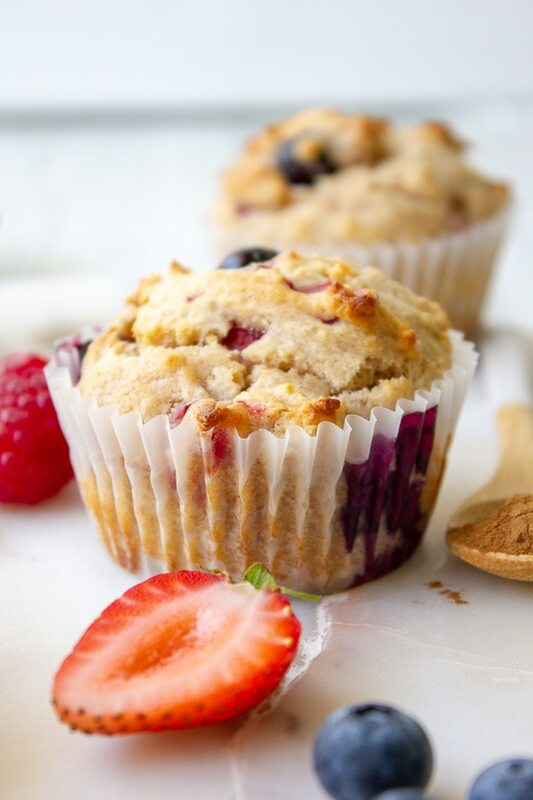 I hope you enjoy these delicious Berry Ricotta and Cinnamon Muffins. Remember if you bake these please share your pics with my on Facebook or Instagram, I love to hear from you! Made this for my picky 2.5yr old & he gobbled them up! I used small muffin liners, weighed them out at 45g each & got 20 muffins. My ricotta had gone bad so I subbed full fat plain Greek yogurt. I used frozen mixed berries. They were so moist & yummy – not too sweet & not bland.